The Middle Township Police Department and Cape May County Prosecutor’s Office are hosting a free informative event geared towards parents of school aged children. This even is designed to inform parents, guardians and educators on new trends our children are exploring with technology. 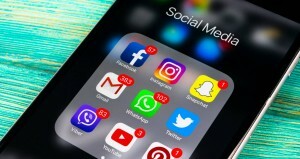 The even will cover cyber-bullying, “Sexting” and New Jersey laws, current trends and safety tips for popular social media applications and more. This is a must see event for every adult in order to ensure our young generation stays safe in this evolving digital world.